Most travel deals we post focus on adventure and exploring new places, and you should definitely do as much of that as you can. But sometimes, a vacation should be purely about recharging your batteries, and there’s nothing better for sheer relaxation than an all-inclusive beach resort. 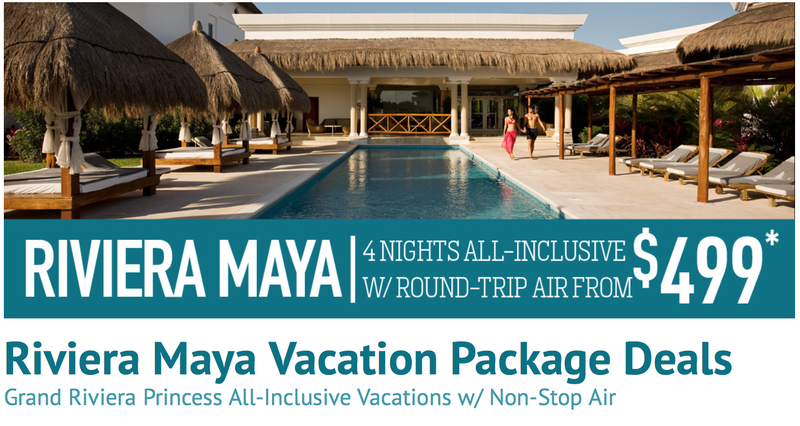 For a limited time, you can go to the Grand Riviera Princess or the adults-only Platinum Yucatan Princess in Riviera Maya, Mexico starting at just $499 per person, including roundtrip airfare, lodging, taxes, and of course, all the food and beverages (including alcohol) you want. Prices vary based on your departure city, travel dates, and length of stay, but if you play your cards right, this can be a very cheap trip, since the only thing you’ll really have to pay for while you’re there is tips.